Routed Union units begin to rally on Snodgrass Hill and Horseshoe Ridge to the south. 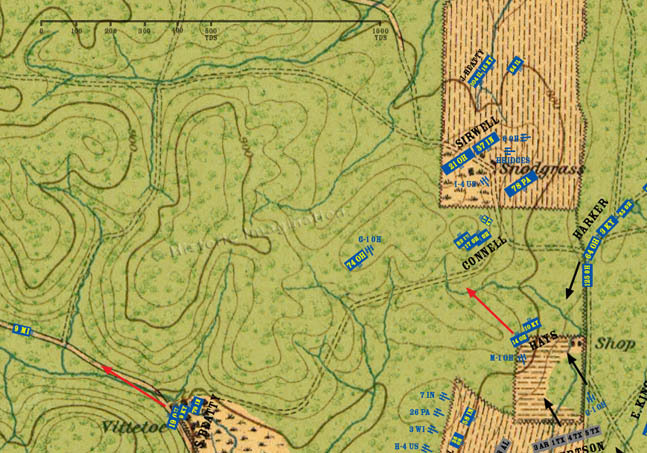 Harker’s brigade turns around and begins deploying facing south to meet the unexpected threat from that direction. The 9th Michigan, provost guard for the Fourteenth Corps, arrives along the Dry Valley Road to the west. It encounters a road full of retreating soldiers.